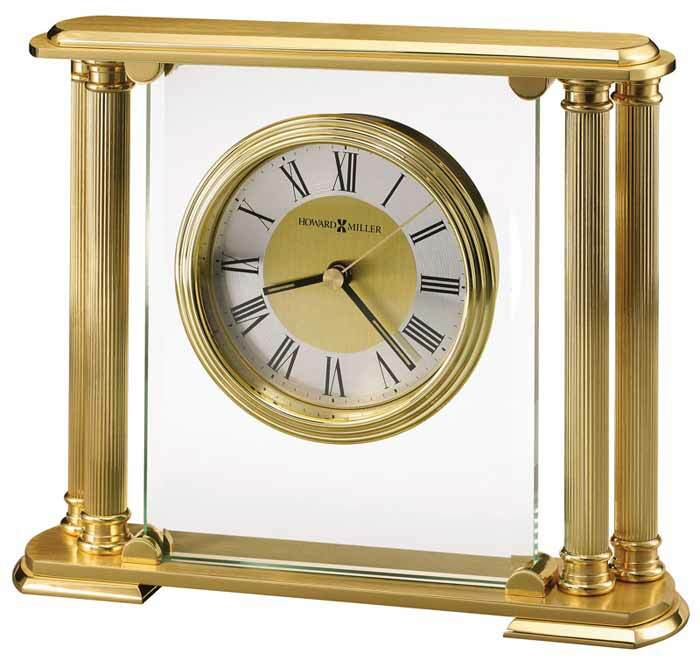 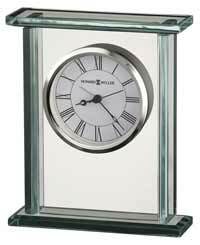 The Howard Miller Athens 613-627 Desk Clock is a brushed, solid brass table clock with polished edges and beveled glass center panel. 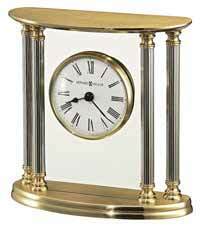 Four solid brass reeded columns feature turned column caps. 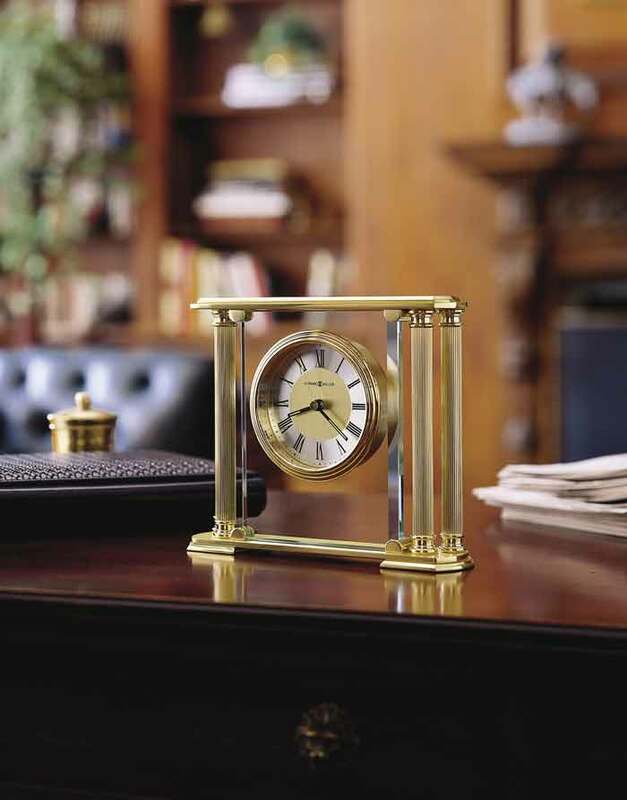 Brass feet offer felt bottoms to protect your fine desk. 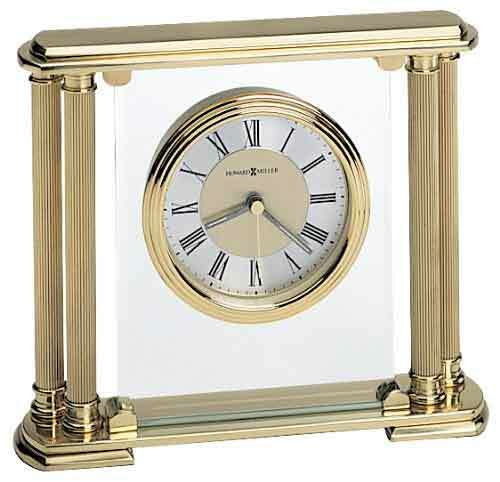 Quartz movement includes the "AA"battery which will power the clock over a year at a time. Size: Height 6-1/2", Width 7-3/4", Depth 2". 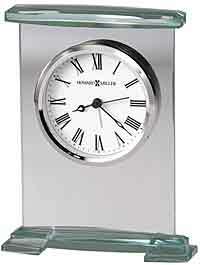 Clocks for sale at The Clock Depot including the 613-627 at discount prices.